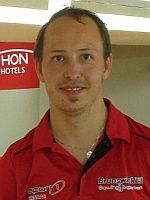 Eighteen years after he quit his illustrious international career after the 1999 World Championships in Abu Dhabi, United Arab Emirates, Swedish standout Raymond Jansson mounted one of the biggest comebacks in the sport of tenpin bowling as he won his first European Bowling Tour title in the Norwegian Open 2017 by Brunswick Sunday at Veitvet Bowling Center in Oslo, Norway. 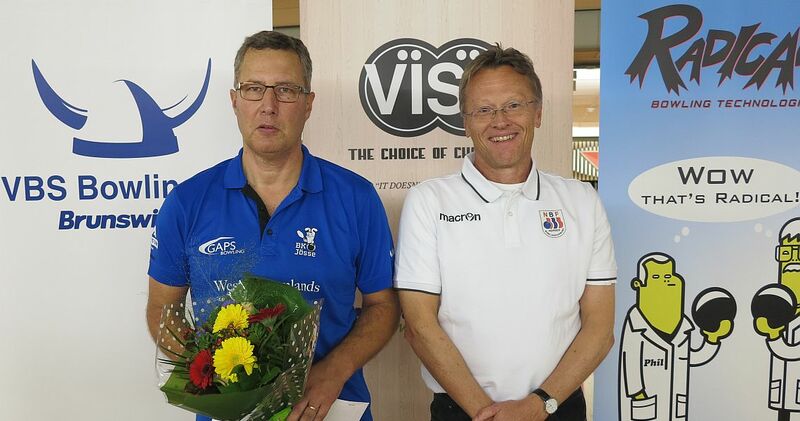 Pictured above is Norwegian Open champion Raymond Jansson, left, with Per Iversen, secreaty general of the Norwegian Bowling Federation. 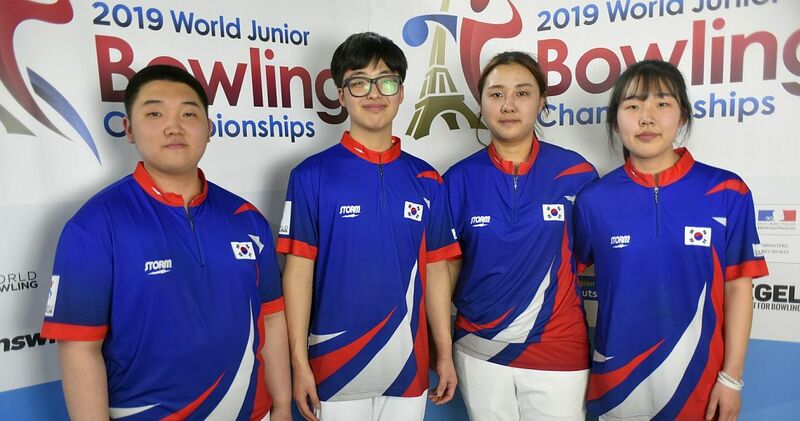 The 51-year-old multiple World and European champion (right) had a great start into the tournament when he shot one of only four 1600-series in the history of the EBT in squad 7 setting a new tournament record with 1602. 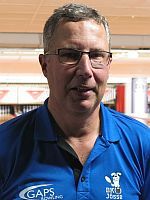 By virtue of finishing qualifying in the top 8, Jansson, who will be the assistant coach of Team Sweden at the combined World Championships in Las Vegas in December, received three byes and was seeded into round four. Trailing Junior Team Norway’s Jonas Dammen (left) and 2013 Norwegian Open champion James Gruffman (right) of Sweden after the three-game round by 45 and 28 pins, respectively, Jansson started the final round with a huge 288 game to take the lead and he never looked back. 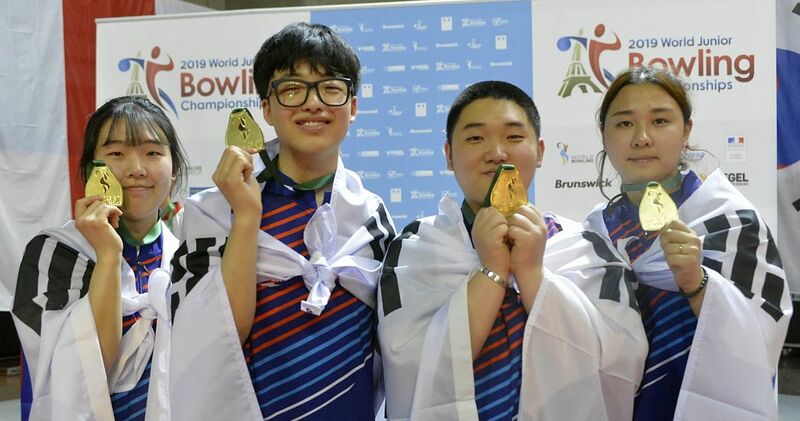 He widened his lead with 246 in the second game, fifth overall, and – as all three players struggled in the last game – he cruised to victory with 166 and 1399 total, an average of 233.17 for six games. 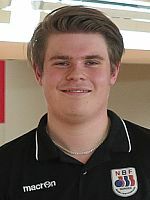 Lefty Gruffman threw three clutch strikes in his last frame to overtake the Norwegian youngster by three pins to take second place with 1376, while Dammen was the best Norwegian in the most prestigious tournament in Norway in third place with 1373. 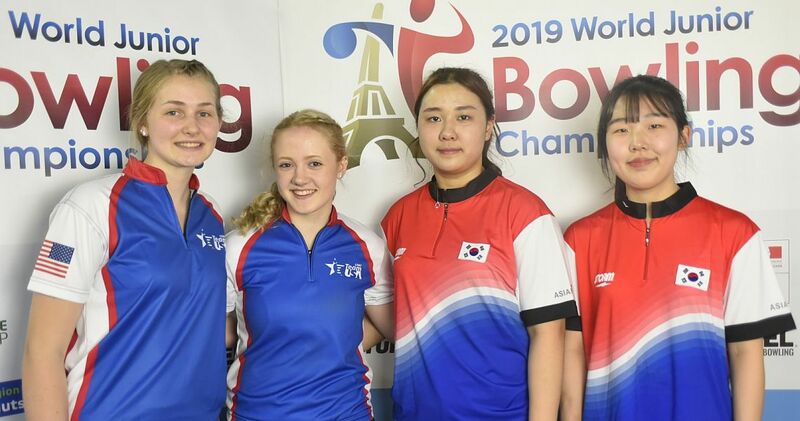 Tor Inge Jansen (left), who will represent Norway at the 53rd QubicaAMF Bowling World Cup in Hermosillo, Mexico, next month was 13 pins behind in fourth place with 1360. 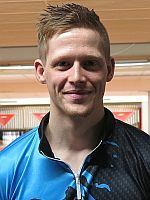 He was followed by the best of twelve bowlers from Iceland, Jon Ingi Ragnarsson (right) in fifth place, last year’s runner-up Mikael Roos (left) of Sweden, who was sixth with 1333 and Jansson’s son Markus Jansson (below right), who was seventh with 1309. 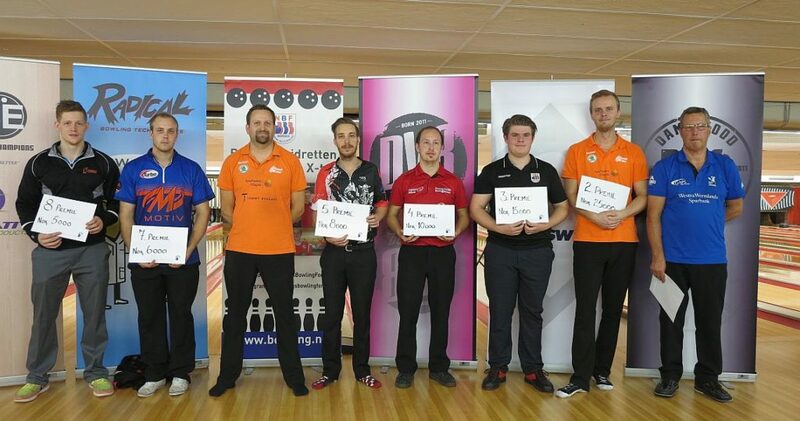 Carsten Warming Hansen (below left), who became the European Bowling Tour men’s point ranking winner for the 2017 season, finished eighth with 1201. Jenny Karlsson of Sweden was the best of 36 women in 26th place to win the women’s ranking in Oslo. 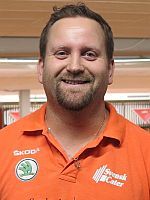 The Norwegian Open 2017 by Brunswick, which ran from Oct. 6-15 at 26-lane Veitvet Bowling Center in Norway’s capital city of Oslo, was the 11th and final stop of the 2017 European Bowling Tour and also the last of three EBT “Bronze” tournaments this season. The tournament offered total prize money of 275.000 Norwegian Kronor (approx. 29.305 Euro) with 45.000 NOK (approx. 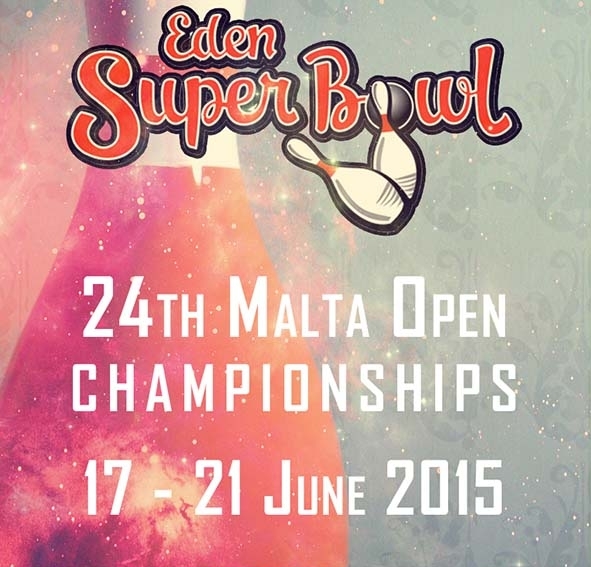 4.795 Euro) going to the winner and a last-to-cash payout of 2.000 Kronor or 213 Euro for 60th place. 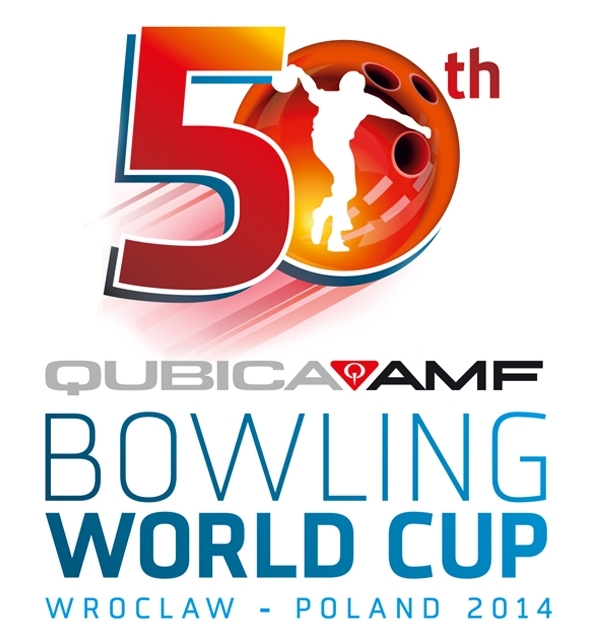 60 out of 209 players from seven countries survived the qualifying cut. 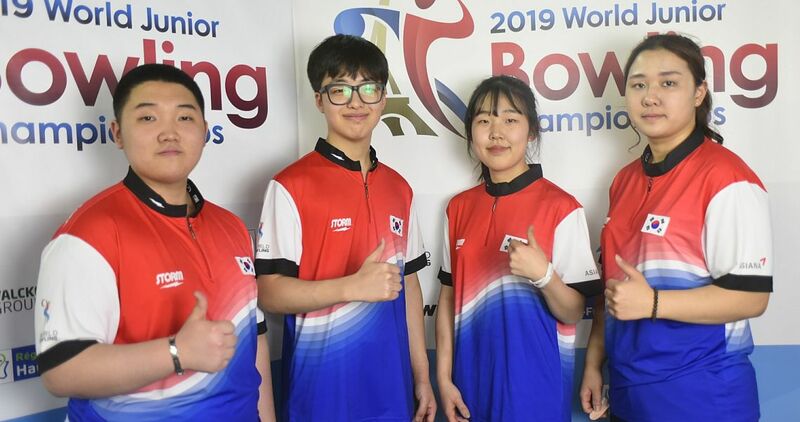 The semi-final round on Saturday evening trimmed the field to 40 players who determined the champion in five three-game round with the first four rounds starting from scratch. 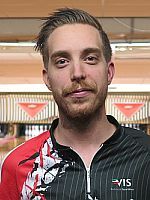 The field was cut to 32, 24, 16, and then eight players who bowled an additional three-game block with the pinfall from Round 4 carried forward. 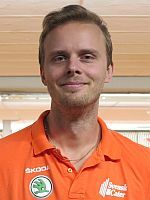 The player with the highest six-game total earned the title, the 45.000 NOK top prize and 100 ranking points (men and women in separate divisions). 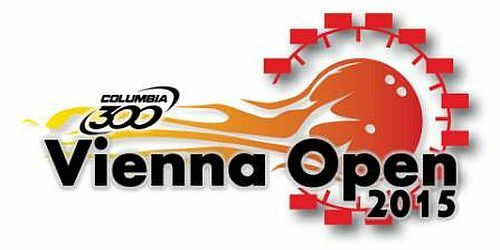 Bowlingdigital provided onsite coverage from Veitvet Bowling Center in Oslo featuring stories, photos and results after each round commencing Thursday all the way through to the finals on Sunday, October 15. 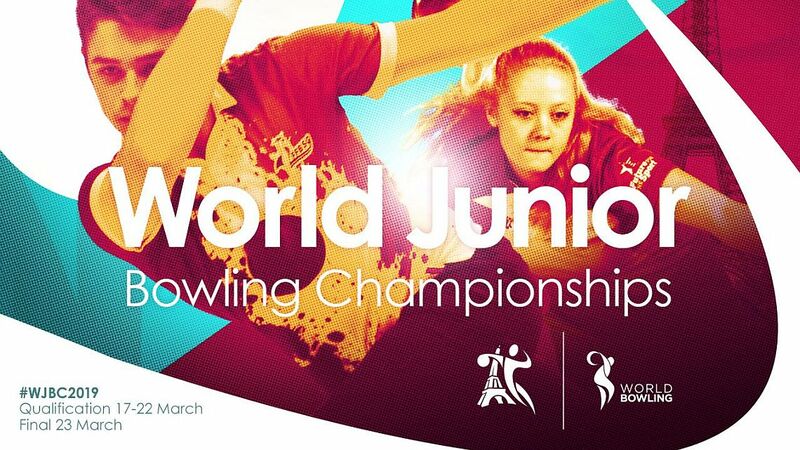 The 2017 European Bowling Tour featured 11 tournaments in 9 countries including two “Platinum”, two “Gold”, one “Silver”, three “Bronze” and three “Satellite” events, which offered total prize fund of roughly 560.000 Euro. The top 50 men and the top 50 women in each event received ranking points. Those points were tabulated throughout the season to determine the top 8 men and top 8 women, who will be eligible to compete in the 11th EBT Masters April 23, 2018 in Tilburg, Netherlands. 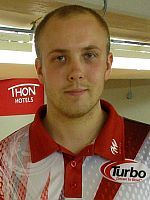 The top 8 in the Norwefian Open 2017 by Brunswick. L-R Raymond Jansson, James Gruffman, Jonas Dammen, Tor Inge Jansen, Jon Ingi Ragnarsson, Mikael Roos, Markus Jansson, Carsten Warming Hansen.